Flames from the Camp Fire burn near a home atop a ridge near Big Bend, California, on November 10th, 2018. 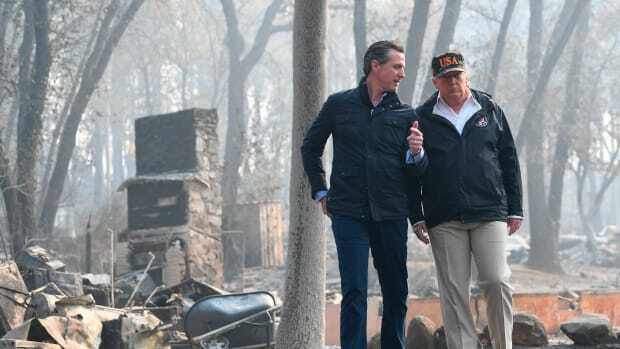 Californians are just beginning to recover from the state&apos;s deadliest and most destructive wildfire, but on Wednesday, the president threatened to deny these victims federal funds. 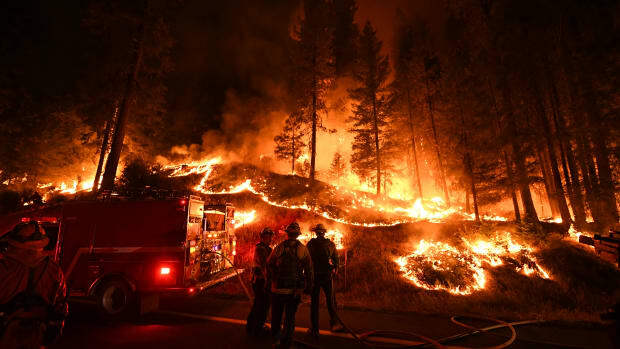 Donald Trump said in a tweet that he would withhold money from the Federal Emergency Management Agency—despite the $33 million approved for disaster assistance in December—as punishment for poor forest management, an oft-repeated claim that has been widely criticized. Democrats decried the president&apos;s threat as both inaccurate and harmful. 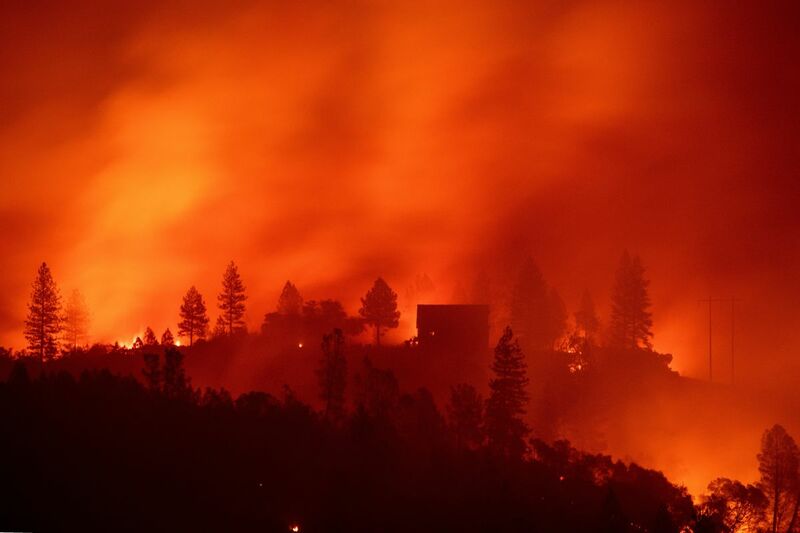 Senator Dianne Feinstein of California called the statement an "empty threat" on Twitter, adding: "The Camp Fire killed 86 people, destroyed 14,000 homes & burned 150,000 acres. It&apos;s absolutely shocking for President Trump to suggest he would deny disaster assistance to the victims." 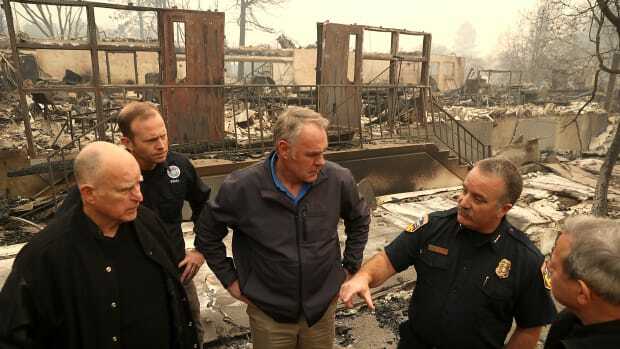 State laws prevent the executive from delaying "the rapid deployment distribution of critical resources" after a major disaster declaration has been made, as in the case of the Camp Fire, but Trump could refuse to make these declarations in the future, the Olympian reports. It may be an empty threat—after all, this is the third time Trump has threatened to cut funding—but it also obscures a very real problem. 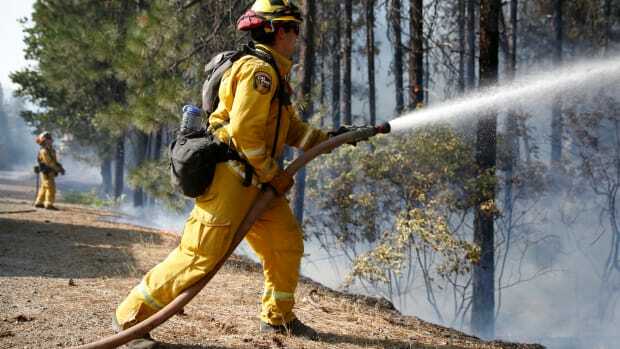 The American West faces an increasingly intense and lengthening fire season, but research shows that climate change, not forest management, is to blame for the bulk of California&apos;s fires. The solutions that Trump has proposed—cutting already-limited funding, rolling back environmental laws to allow for more logging, and potentially clear-cutting forests—fail to address this issue and may even worsen the damage from wildfires, according to experts. And California firefighters and climate scientists have pushed back on these claims, month after month. Here are highlights from Pacific Standard&apos;s coverage of these claims and the realities behind them. 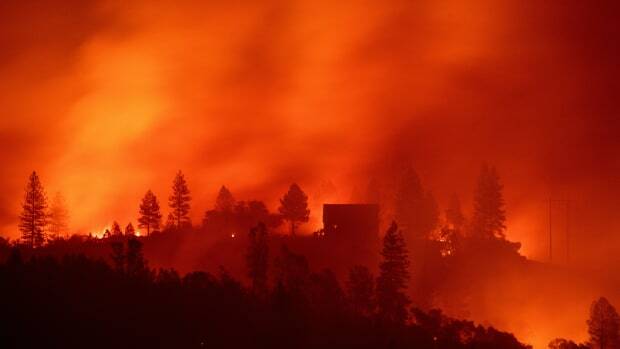 "Climate Change Does More Than &apos;Maybe Contribute a Little Bit:&apos; Debunking Trump&apos;s California Wildfire Claims"
The reality: California&apos;s forest management is not responsible for most of the land burning in the state—and climate change is driving the American West&apos;s "new normal." "What Trump Got Wrong About California&apos;s Wildfire Policies"
A wildfire policy expert on why the president&apos;s previous claims have no foundation: "This is theater," he says. "But in effect, it sends a signal that the president, who took an oath to protect the federal domain, is unwilling to do so." "Trump May Be Pushing to Clear-Cut California&apos;s Forests to Manage Fires. Here&apos;s Why That&apos;s Dangerous." Research suggests that removing trees actually makes fires more intense, wreaking further havoc on both human and wildlife habitat. "The Trump Administration Wants to Roll Back Environmental Protections to Help Fight Fires"
New farm bill provisions would eliminate environmental protections for forest management, without addressing the wildfires&apos; biggest driver: climate change. 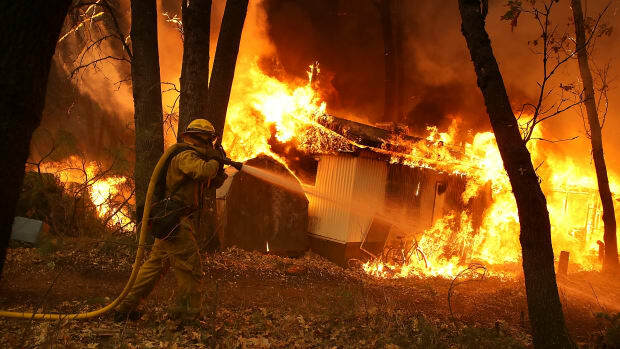 "As Fire Seasons Intensify, California Homeowners Struggle to Stay Insured"
Residents face increasingly high costs of recovery after disasters like the Camp Fire—which has already put an insurance company out of business.